Home manicure: 5 things you do wrong! Despite the great popularity of hybrid, titanium or gel manicure, many women still like relaxing at home applying an enamel on their nails. If you’re also the person who doesn’t make appointments to a beautician to get the nails done, check whether you paint the fingernails right. We’re introducing five common mistakes that most of us make while applying manicure at home. No matter if you paint your nails using regular enamels or if you use special preparations that prolong performance of the nail polish, there are always a few rules that should be followed to make the procedure successful. Thanks to taking these five pieces of advice, you can make your nail enamel more durable. Check them! Nail file has to be delicate but, at the same time, it has to be made of coarse grains that facilitate shortening nail plates. In this case, all emery boards are considered both as the most suitable and the least nail-damaging. Moreover, direction of filing down is also crucial. It’s better if do this only on one side and with steady, rapid motions. It’s worth realizing that filing nails down in various directions can damage and split nail plates. Enormous significance is attached to cuticles while talking about the final visual effect that manicure can deliver. The sad true is that many women forget to take care of cuticles and when in poor condition, they can ruin even the most precisely applied nail enamel. 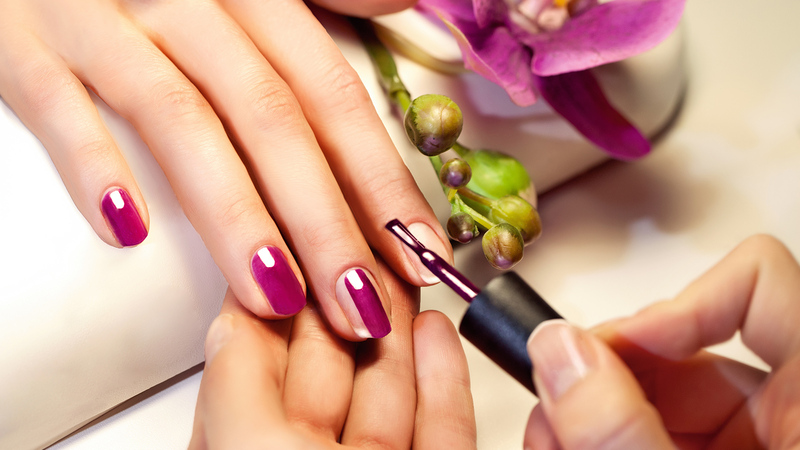 Therefore, before applying manicure, make sure that your cuticles are at first softened and then delicately removed. Once nails are covered with a polish, soothe your cuticles with an oil. Nails that are well-groomed are usually smooth. However, even such neat plates’ surface can have smaller or bigger roughness on it. Definitely, such imperfections aren’t allies of the perfect manicure. For that very reason, you must take care of evening the nail plates of yours. Buffer nail files are good at making your nail plates smooth and, at the same time, are able to matte nails and prepare them for the upcoming base coat. Sadly, a nail enamel may not stick well to even the neatest nail. The blame can be put on our natural barrier of a nail plate – a greasy layer. Nails can get greasy also as a consequence of being in contact with skin. Therefore, it’s worth wiping nail plates with a special nail degreasing preparation before putting on a nail enamel. Great importance for nail health and durability of manicure is posed by the base coat. It fills unevenness, protects nails against discolorations, nourishes and strengthens nail plates. Moreover, a nail enamel won’t stay long on nail plates if there hasn’t been any base coat applied.